What is acromegaly in cats? What about Cushing’s disease in cats? And what in the world are tularemia and cytauxzoonosis? They’re all cat diseases — and while they’re not that common right now, cases are on the rise. Here’s what you need to know. While most cat caretakers have never encountered these cat diseases (or even heard of them before), they all share one thing — they’re becoming more common. Acromegaly or hypersomatotropism is among the unusual cat diseases you should know about. Photography ©Arseniy45 | Getty Images. Acromegaly or hypersomatotropism is usually caused by a benign tumor of the pituitary gland, which secretes excess growth hormone and growth hormone-induced insulin-like growth factor 1 (IGF-1). While the screening test for IGF-1 isn’t perfect, it’s helpful. Fortunately, treatment options are increasingly available, which helps to transfer the difficult diabetic into a well-controlled diabetic or even a non-diabetic. 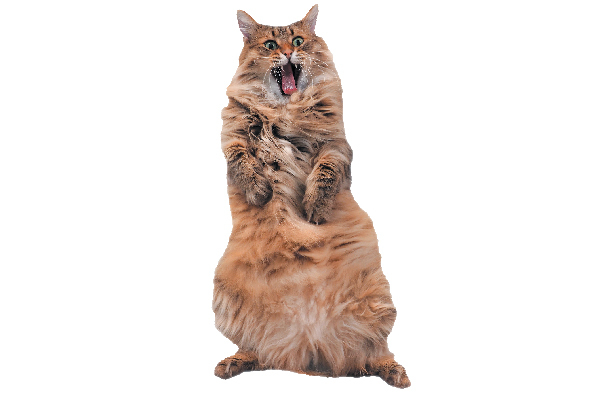 Another reason cats rarely become uncontrolled diabetics is Cushing’s disease or hyperadrenocorticism. This is somewhat common in dogs but not so much in cats. Wherever there are lone star ticks and bobcats, there will be cytauxzoonosis. Photography ©JohnPitcher | Getty Images. Cytauxzoonosis or bobcat fever can be complex to explain. Try following this bouncing protozoa: Bobcats are traditionally thought to be a reservoir host but other wild felines and domestic cats can be infected as well, and when they recover they become reservoirs. When a lone star tick (and perhaps other tick species) bites the bobcat, the protozoa is picked up and can then be transmitted to a domestic cat. “At first, symptoms are general, but illness progresses rapidly,” says Dr. Leah Cohn, a leading cytauxzoonosis researcher and professor of veterinary medicine and surgery at University of Missouri College of Veterinary Medicine, Columbia. Cytauxzoonosis was a nearly certain death sentence when Dr. Cohn first began her research. 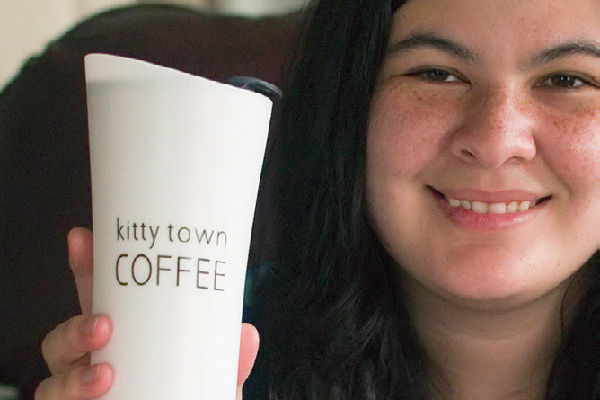 Today, she says, with new anti-protozoal treatments, from half to up to 60 percent of infected cats survive. However, treatment is expensive and grueling. Cohn says new data suggests that illness is transmitted from ticks to cats faster than previously thought, so the best tick protection has repellency to increase odds of ticks not even attaching to cats. And it helps, of course, to keep cats indoors. 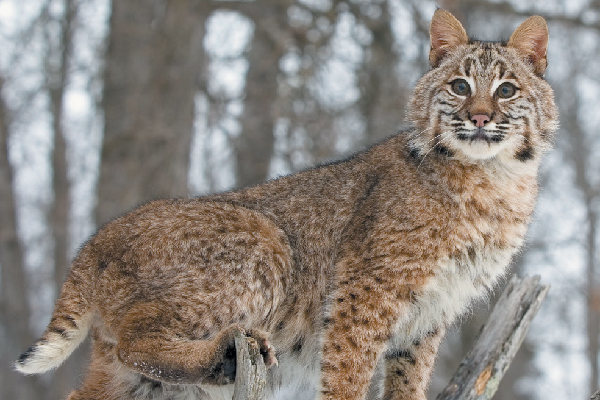 Alabama, Arkansas, Georgia, Oklahoma, Missouri and Tennessee are particular hotbeds, but wherever there are lone star ticks and bobcats, there will be cytauxzoonosis. “FGESF is an emerging inflammatory gastrointestinal disease found worldwide in middle to older age cats,” says Dr. Vicki Thayer, board member of the Winn Feline Foundation. “The cause is unknown though thought to be due to immune dysregulation possibly associated with adverse food reactions, dysbiosis (as a result of bacteria in the gut being out of balance) or exposure to ingestion of ectoparasites (a parasite that lives on the outside of the host) or infection with endoparasites (parasites living inside the host). Prognosis is guarded since a number of these cats are chronically and progressively affected by the disease, though early treatment could lead to a better outcome.” Treatment is corticosteroids like prednisolone and a general deworming program. It is a diagnosis of exclusion after other sources of oral pain are considered. The condition is considered chronic. Interestingly, external situations causing anxiety also influence the disease in 20 percent of cats, according to a study published in the Journal of Feline Medicine & Surgery in 2010. This condition appears to be over-represented in Burmese cats, and DNA of affected cats is being collected in hopes of screening for breeding programs. FOPS doesn’t respond well to traditional analgesics, and some cases respond more successfully to anticonvulsant drugs with an analgesic effect, such as phenobarbital. In this study, 12 percent of cases were euthanized, so the outcome isn’t always positive. The term papillomatosis is used to describe a benign tumor on the surface of the skin. Caused by a virus known as the papillomavirus, the growth is black, raised and wart-like, with an open pore in the central surface if the tumor is inverted, says Dr. Lauren Demos, past president of the American Association of Feline Practitioners. Sometimes papillomatosis can progress, causing common forms of skin cancer. It is also possible for invasive cancerous cells to penetrate and begin destroying the underlying tissues. In cats, the most common papillomavirus often multiplies (metastasizes) and may progress to an invasive cancer. These are usually located around the lips, mouth and tongue. However, the skin can be affected at any age. Dr. Demos adds, “Currently, histopathology and immunohistochemistry, along with newer molecular assays are helpful in diagnosing this condition. Treatment options for such lesions range from immunotherapy to surgery.” Due to the contagious nature of this disease (among cats only), it is important to separate infected animals from those not infected with the papillomavirus. Oral vaccination can be administered as a preventive measure against this disease, and it is routinely used in commercial kennels when outbreaks do occur. Thereafter, commercial pet food companies started supplementing cat foods with adequate taurine. Although taurine-deficiency DCM is now rarely seen in cats, it is occurring more often as cat caretakers feed vegetarian diets, nutritionally unbalanced homemade diets or diets manufactured by companies that do not have stringent quality-control practices. Far better than treating taurine deficiency, it’s nearly always easy enough to prevent the deficiency from occurring in the first place. 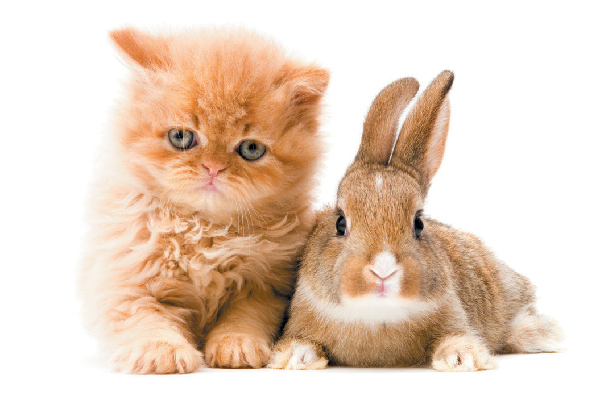 Tularemia — or rabbit fever — is a bacterial infection transmitted from ticks to rabbits to cats. It’s also infectious to people. Photography ©101cats | Getty Images. Tularemia or rabbit fever is a bacterial infection transmitted by lone star ticks and other tick species. A tick may feed on an infected rabbit and pass it on to cats. Or cats may get sick by scarfing down an infected rabbit. Dr. Cohn says there’s good news and bad news. The good news is that with the right antibiotics, treatment is generally effective and far less expensive than treating cytauxzoonosis. The bad news is that symptoms of illness are often generalized, and veterinarians may not immediately think about tularemia or may offer antibiotics not as adept at treating tularemia. Waiting too late, or without treatment, death may occur. Also, tularemia may be infectious to people. So, people are told — for example — to wear gloves when pilling cats to treat tularemia. Like cats, people may become very ill. And like all disease spread by ticks, tularemia is on the rise. 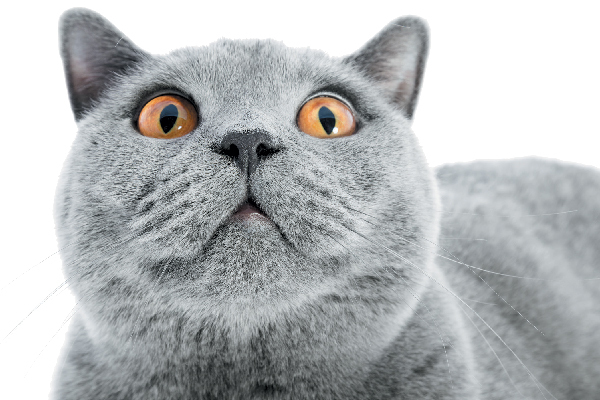 Tell us: Has your cat ever encountered any of these unusual cat diseases? What other unusual cat diseases would you like to see covered here? Steve Dale, CABC, certified animal behavior consul- tant, is host of several pet radio shows, appears on TV and speaks around the world. He’s author/contributor to many books, including The Cat: Clinical Medicine and Management, and board member of the Winn Feline Foundation. Blog: stevedale.tv.